Great reporting on clemency in Louisiana by Julia O'Donoghue at Nola.com (link). She reports that Governor John Bel Edwards "has reduced more prison sentences at this point in his term than his three immediate predecessors." But this is said to put "more pressure on district attorneys" in the State because "they must devote more resources and investigators to researching old cases, some closed by former district attorneys 30 to 40 years ago, in order to provide an informed opinion at clemency and parole hearings. " Oh my! 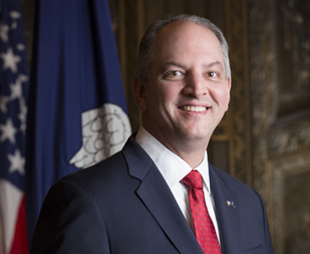 Edwards actually only commuted 22 sentences his first year in office, but that was "far more" than were granted in the first year of the administrations of Mike Foster (who commuted 53 sentences in eight years), Kathleen Blanco (who commuted 129 sentences in four years) and Bobby Jindal (who only commuted 3 sentences in eight years). Prosecutors say they "want more time to be able to find surviving victims and gather information about old cases" and they are tired of having to "scramble to get everything together" for clemency hearings. They complain that "pulling information for the cases can be complicated." Victims don't always live in the same places and, in one case, the "original prosecutor and the arresting police officer were both dead." The piece also says "word has gotten out" among inmates and "there has been an uptick in applications for clemency." See full story here.